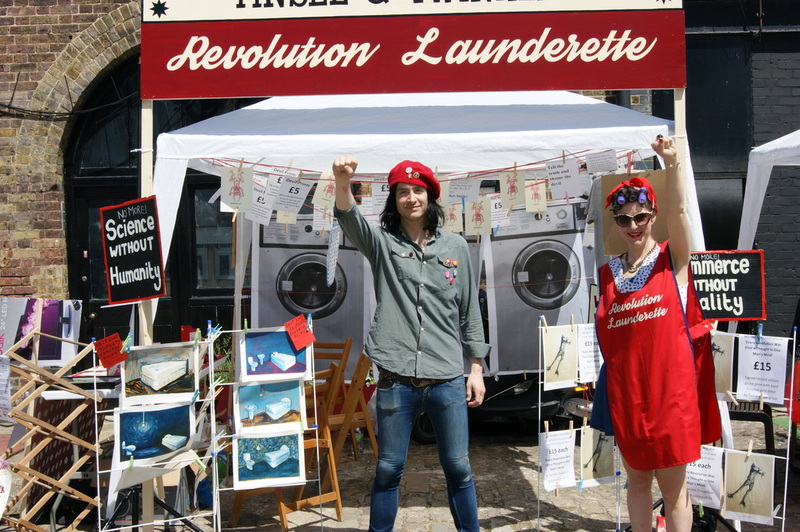 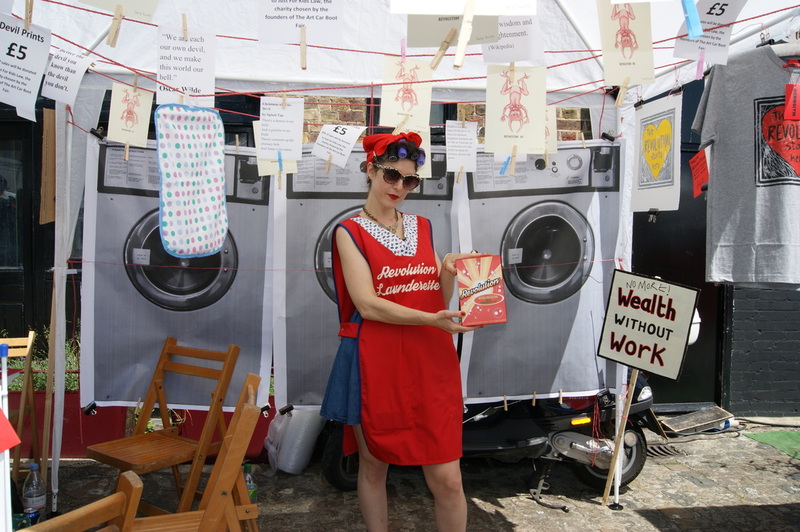 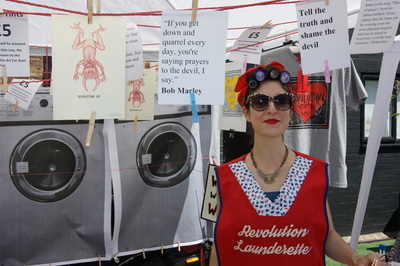 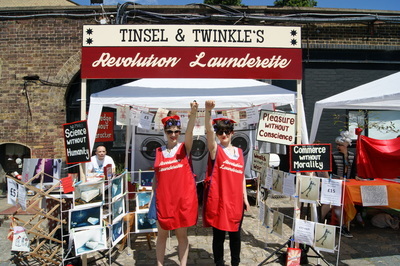 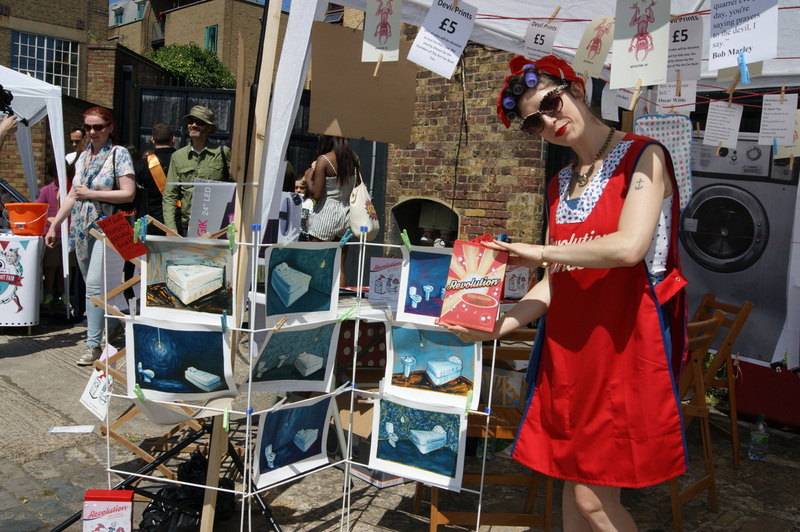 At the ‘must go to’ event of the summer, Twinkle and Tinsel will be holding their brand new Revolution Launderette. 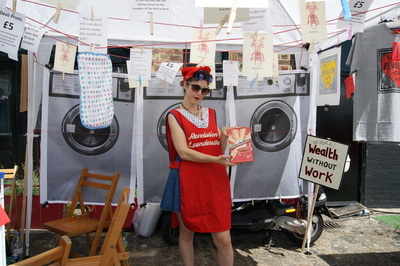 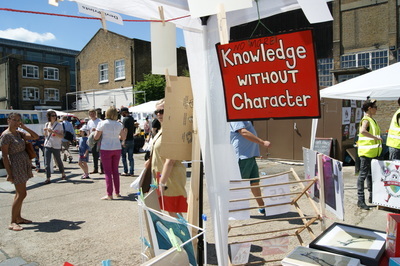 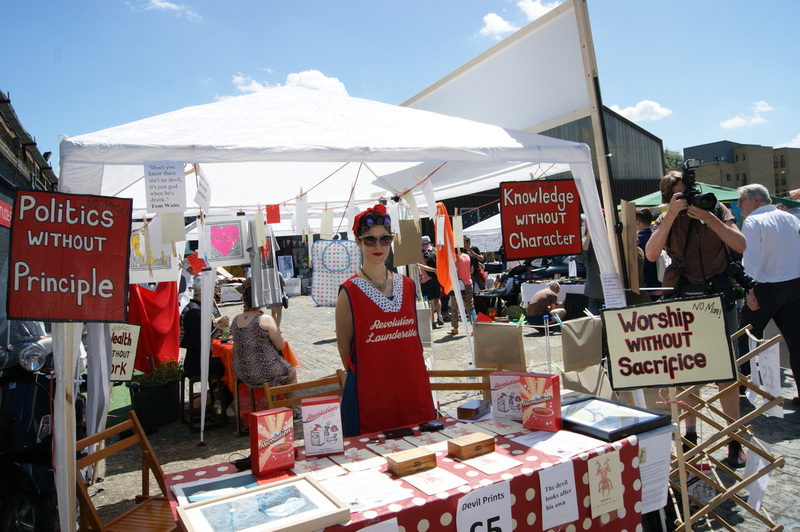 Decked out with old washing machines (well, large A0 photocopies of them anyway) washing lines, soap powder boxes, pegs, curlers and headscarves, inside Twinkle and Tinsel’s gazebo the pair will be staging another of their audience participation events. 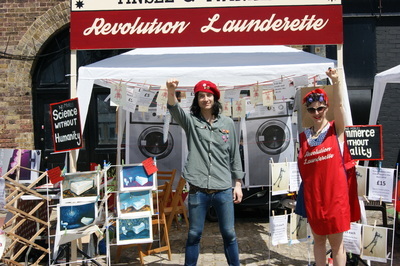 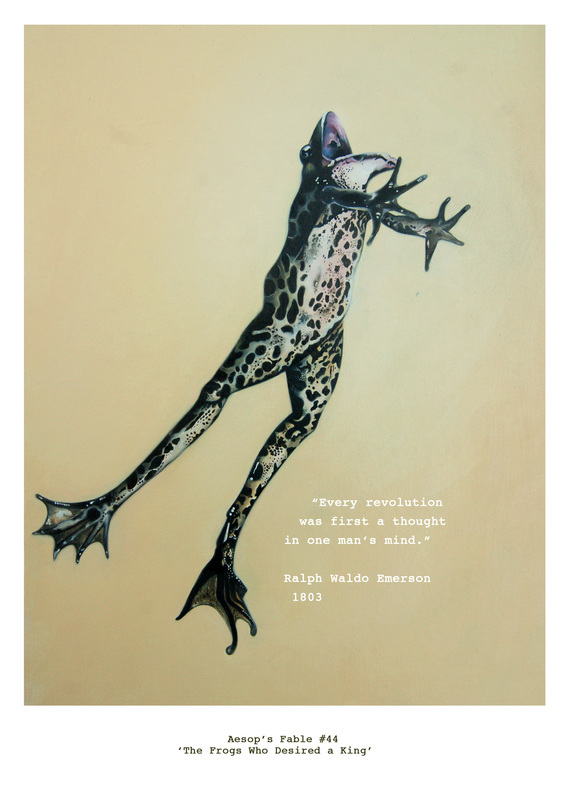 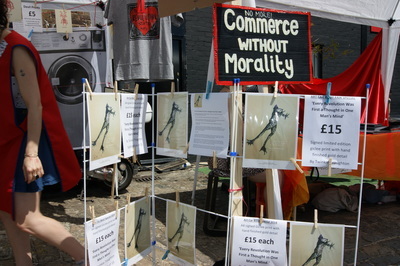 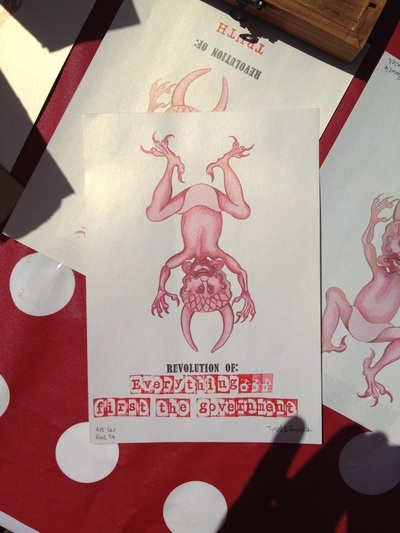 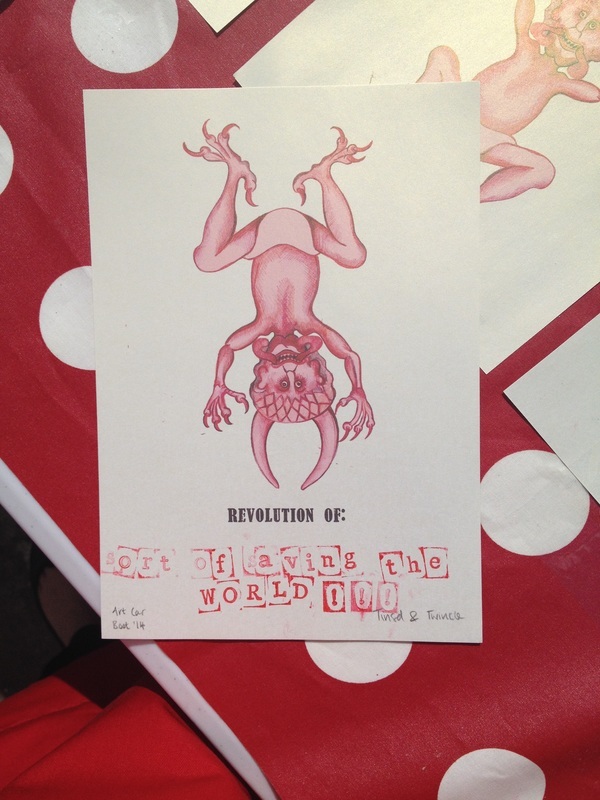 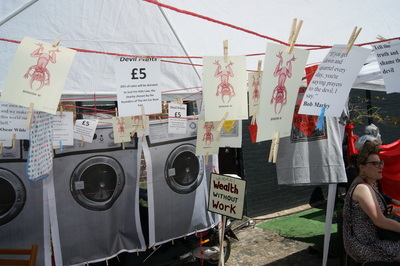 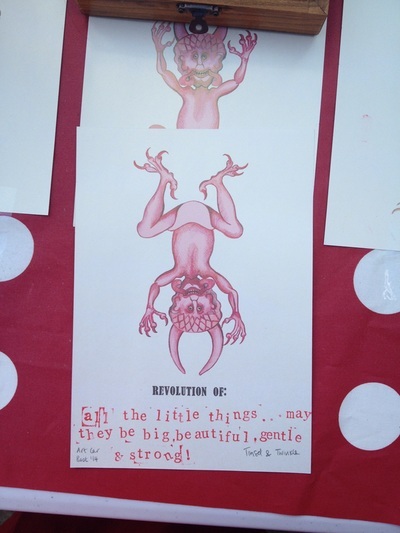 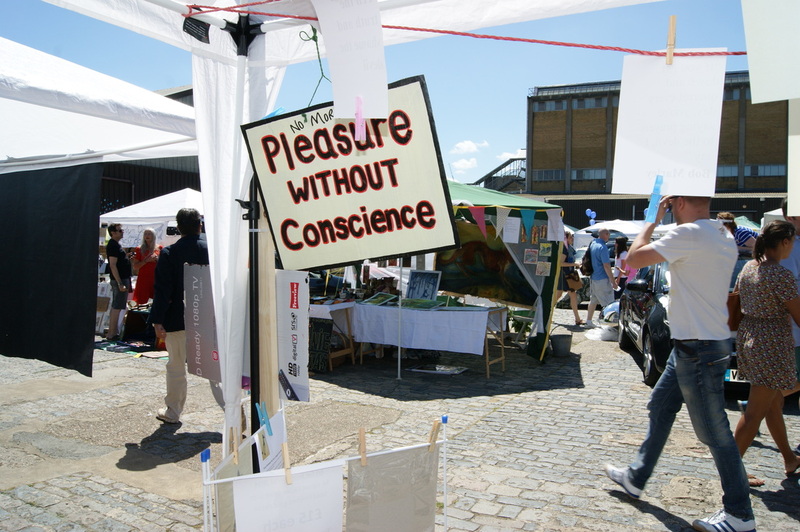 Limited Edition prints will hang from washing lines upon which visitors will be asked to stamp words which sum up what kind of revolution they want to happen, either personally or around the world! 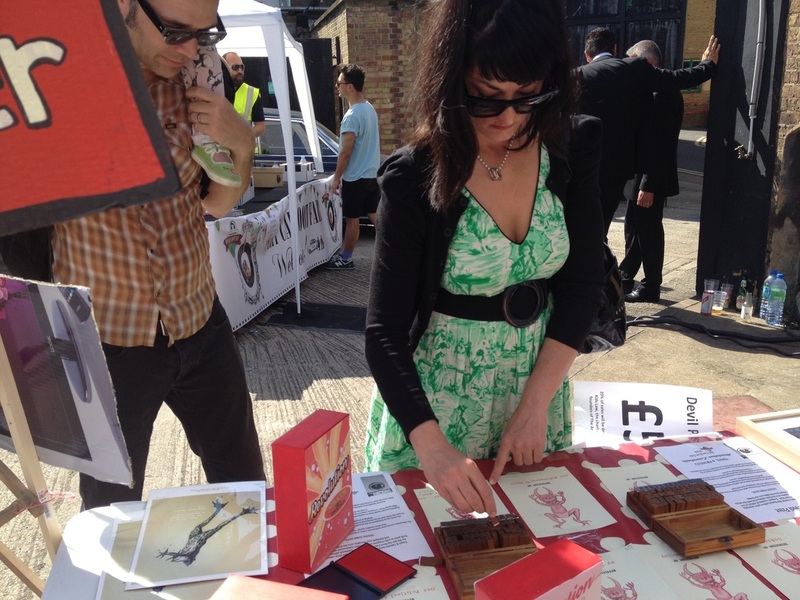 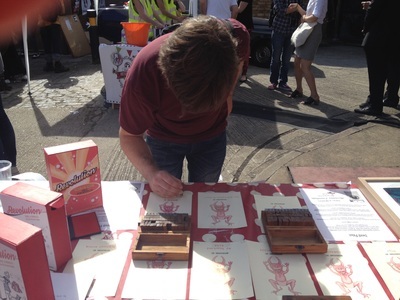 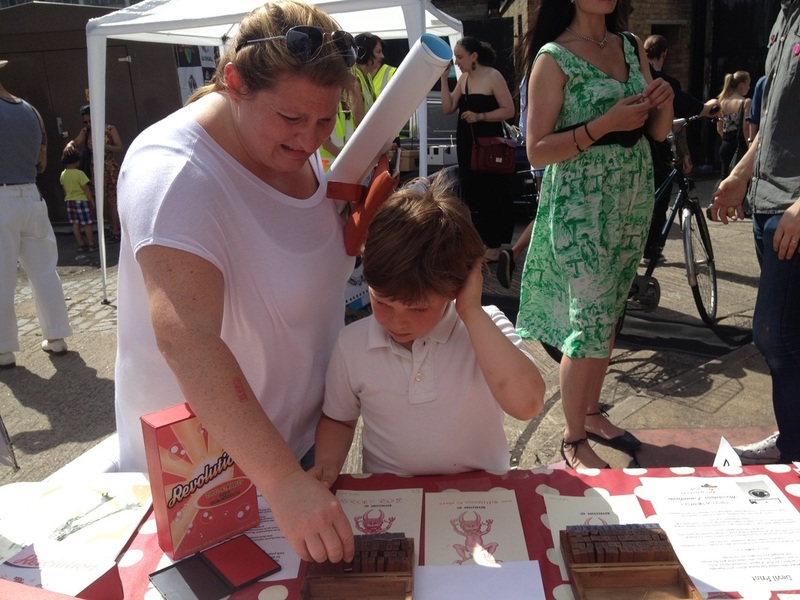 They will stamp their words of choice into the print using old fashioned letter stamps. 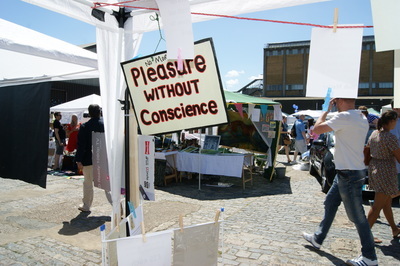 Expect banners and placards emblazoned with the duo’s own words and Ghandi's Seven Deadly Sins, amazing and simple philosophies indeed fit for a revolution! 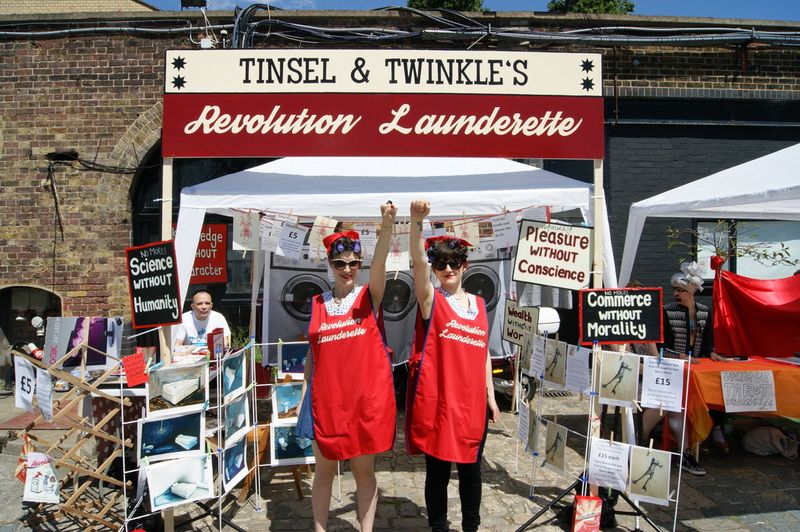 Dressed as launderette ladies, Twinkle and Tinsel will also be doing a lap or two with placards at the ready at various intervals during the day. 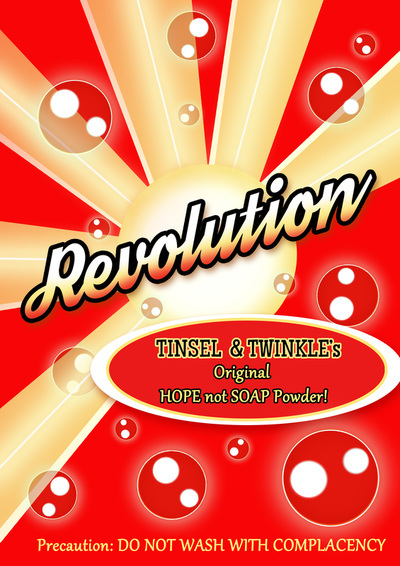 So come and join Twinkle and Tinsel and tell them what kind of revolution YOU want to happen!